Practice 20 essential Korean phrases! Having trouble forming sentences in Korean? We've got you covered! Korean listening practice for all levels! Listen and write down what you hear. 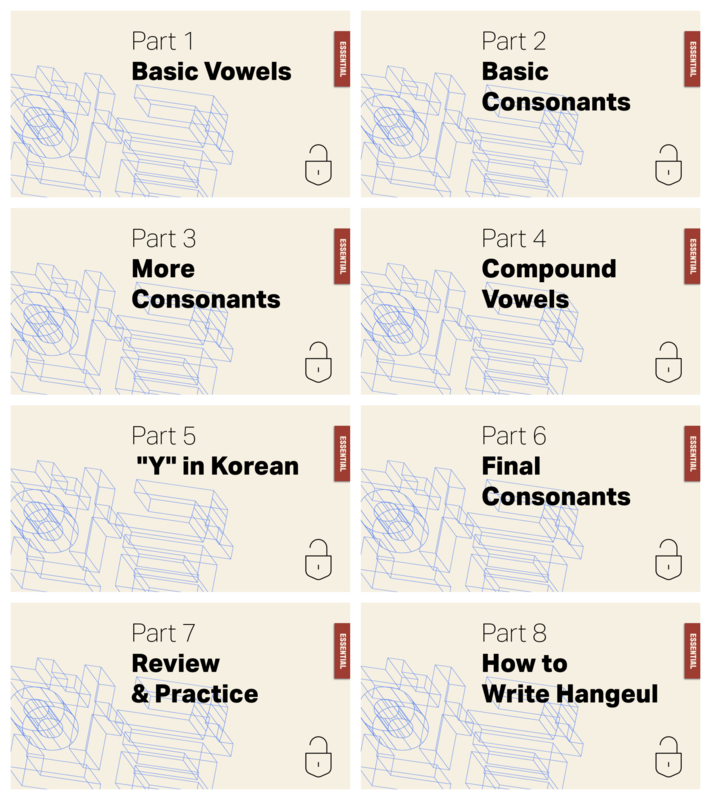 This 7-part video course is brought to you in order to help you learn how to read and write in Hangeul, the Korean writing system. Many people think it will be difficult to learn, but you can actually learn to recognize the sounds that Korean characters represent very quickly. Take this course to completely learn how to read Hangeul. Hyunwoo....I had already begun to learn the Hangul reading and writing system, So had a foundation for your videos. They really enhance my learning by watching how you form and pronounce the sounds. And the explanation of why they are formed that way. It makes such a difference. I have been learning from your TTMIK lessons, so these are a great addition to my learning process. I am 75 and have an old brain....so learning isn't quick for me. Thanks for all the good effort you take to teach us so well! And you're very pleasant to watch...you make me smile. I am just a absolute beginner in learning hanguel. I highly recommended that you will not regret purchasing this video. In a short timing, I can remember how to read and write the hanguel easily. Thank you Hyunwoo Teacher! This is a very good course for beginners (which is why I’m glad I got it on sale as I didn’t really need this course). Nice and slow and easy to follow.